At the present time, the Forum has a management committee of volunteers who came together to set up the Forum. Since the Forum’s first AGM on 31st May the first official management committee has been elected by the membership. We will soon be adding team leaders to the working groups. 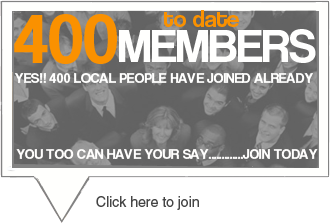 If you would like to take part in thatprocess please join the Forum. 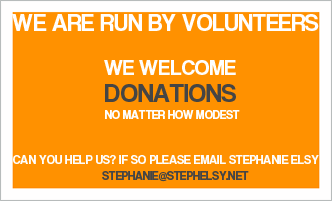 Stephanie Elsy – Chair Stephanie Elsy has worked in the delivery of public services for over 30 years, spending 15 years as a CEO in the charity sector before entering local politics as a Councillor in the London Borough of Southwark in 1995, becoming Leader of the Council in 1999. After retiring from local government in 2002 she joined Serco as Global Director for External Affairs. In 2012, she formed her own company, Stephanie Elsy Associates, a consultancy specialising in advising boards and management teams in the public and private sector. Her clients include local government, the NHS, support services providers and businesses. Steph lives in Queen Street, with her civil partner Christine. Lorraine Clode – Joint Vice Chair Lorraine spent 37 years in the IT industry, selling complex solutions combining hardware, software, business and technical consultancy to clients in the retail, corporate and private banking sectors. Her working life was mostly based in London and involved a lot of international travel, including a 5 year assignment to Tokyo where she managed IBM Asia Pacific’s international sales operations. 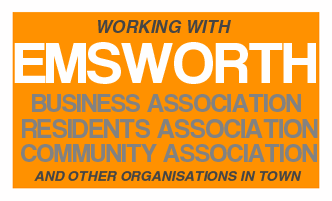 Having first lived in Emsworth when she was 18, Lorraine was keen to take an active part in the life of the town, so on retirement, joined Emsworth Residents’ Association. Lorraine served as chairman from 2009-2012, and is currently Vice President. Her other main interest is the sailing and social life of Emsworth Sailing Club. Lorraine lives in Bath Road and is married to Chris. Chris Hooper – Joint Vice Chair Chris has lived in Emsworth since 1977 where he brought up his family. He retired from the Police in 1998 and now works as an Insurance Consultant. He enjoys village life and the local environment and was recently involved in the ‘Save the Horse Field’ campaign. 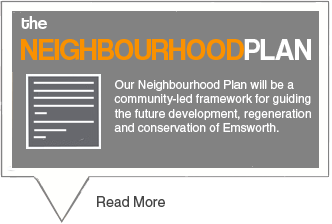 He is keen to promote all aspects of the Emsworth community. 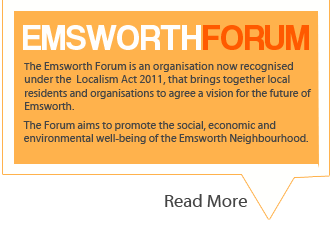 Chris is a founder member and joint Vice Chair of the Emsworth Neighbourhood Forum. Mike Bateman – Secretary Mike has lived in Emsworth since 1971. His career was spent in the University of Portsmouth, originally as an academic specialising in urban geography, but from 1992 to his retirement in 2005 he held the post of Pro Vice-Chancellor. Amongst his responsibilities were the physical development of the University campuses and all associated planning issues. On his retirement, he took up a ministerial appointment as Chair of the Southern Regional Flood and Coastal Committee, responsible for flood defence and coastal protection spending across the South East of the country and for the work programme of the Environment Agency. He retired from that position in 2012 but retains an interest in government policy in the key area of flood defence. He lives in Woodlands Avenue with his wife, Jenny, a retired GP.